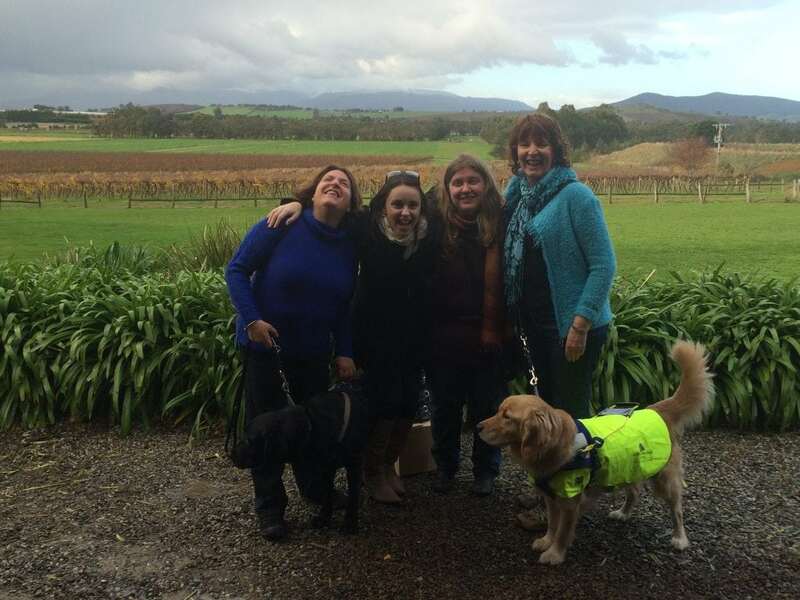 Welcoming two special guests and their dogs to the Yarra Valley - Australian Wine Tour Co.
At AWTC our passion is to bring the sights, sounds and above all the taste of Victoria’s wine regions to all. And we like to think we do a pretty good job, with affordable, innovative tours in luxurious air-conditioned buses driven by expert tour guides. But recently we had the opportunity to introduce the Yarra Valley vineyards to two very special visitors. Well, four, really, if you count the dogs. 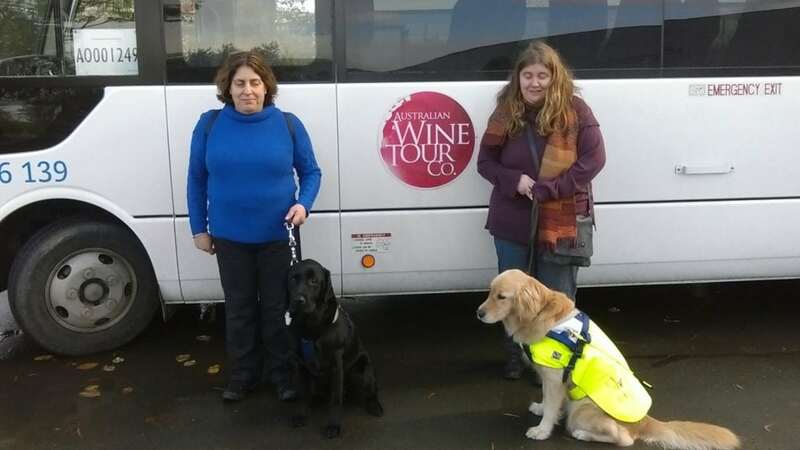 A wine tour is in many ways a perfect day out for the blind. So much of the day is about taste and smell; our itineraries are constructed as a tour for the taste buds, with the visual beauty of the countryside an added bonus. So when we got a call from Nadia and Leah wondering if we were OK with dogs, and as soon as we realised the dogs in question were guide dogs, we were quick to say yes. And a quick call to each of the wineries on the tour elicited the same enthusiastic response. All were keen to help make the day a memorable one for our two guests – and their dogs. How did it go? Well, we always like receiving feedback from our guests, but this one, from Nadia, was especially welcome, as were the pictures that accompanied it. 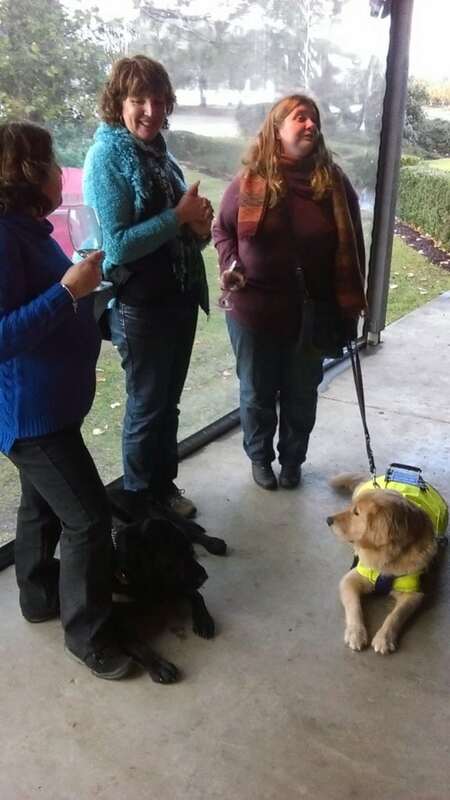 We look forward to welcoming more vision impaired guests on tour again soon. Thanks to our wonderful guide Brett for ensuring all our guests had a great day!